What the Hell is Going on in Venezuela?? Jobu sheds some light on an escalating problem in Venezuela that has it’s athlete community scared to even return to their homelands during the off-season. 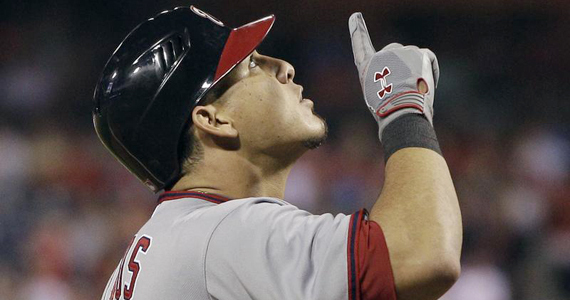 A week ago today, Wilson Ramos, the Washington Nationals’ 24-year old catcher of the future, was kidnapped by armed men outside the Valencia, Venezuela home of his mother. By Friday, Wilson was back home safe with his family, after a harrowing rescue and a fifteen minute shootout between the kidnappers and the police. While this case was solved quickly and Ramos was unharmed, it cannot be considered a closed case until the greater problem is addressed. 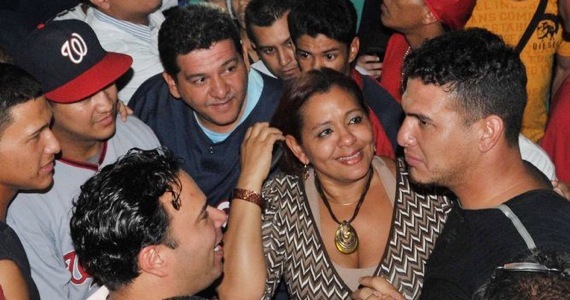 Athlete related kidnappings have become almost an epidemic in Venezuela in recent years. Can anything be done about it? Let me say first that I understand that this is a national problem not only for Venezuela, but for all of Latin America. Venezuela’s kidnapping problem might seem to be mostly relegated to athletes, but in reality, hundreds of people get kidnapped every year (hundreds more probably go unreported too) in the small South American country. In America we only hear about the Athletes because a lot of them play for our favorite teams. I will also point out, however, that this problem doesn’t seem to have affected athletes from other nations. It seems like every time this happens to an athlete, it’s in Venezuela. Here are some examples. Usually, the kidnapping victims are family members of the athletes. In 2005, then Detroit Tiger’s pitcher Ugeth Urbina’s mother was kidnapped and held for five months before she was rescued. In November of 2009, the same thing happened to retired former major leaguer Victor Zambrano’s mother. She was rescued after three days in a “commando style operation.” Unfortunately, just nine days earlier, Zambrano’s cousin was kidnapped and murdered. In June of that same year, the eleven year old son of then Colorado Rockies catcher Yorvit Torrealba was kidnapped along with two of the boy’s uncles. Luckily for Torrealba, the kidnappers were scared off by all of the police attention and dropped the three victims off on a highway on their way to pick up the ransom. Police were alerted and the kidnappers were captured before any money was exchanged. Luckily for Ramos, he was reunited with his mother just two days after his kidnapping. The thing that struck me about Ramos’ kidnapping was that the kidnappers took him, and not his family. It strikes me as common sense that if you want someone’s money, and your plan involves kidnapping and holding for ransom, you shouldn’t kidnap the guy with all the money, right? If you kidnap a family member, then the rich player can pay you to get them back. If you kidnap the actual player, who’s gonna pay you all the money? Why would you kidnap the only person with access to the money, and then hold him for ransom? Why not just make him go to the bank? Another thing that bothered me about this case was that, as a second year player, Ramos made $415,000 last season. I’m not going to sit here and tell you that’s not a lot of money, but how much do you think he actually has in his bank account right now? He probably has a house or apartment in Washington D.C. (or a suburb), and he probably used some of it to buy his mother’s house, or whatever else a 24 year old kid likes to buy when he gets $415K. If you’re gonna kidnap someone for money, why not kidnap someone with a lot of money? Torrealba, Urbina and even Zambrano made millions in their careers. Why pick on a guy making the league minimum? This really goes to show you how desperate the poverty situation in Venezuela is. Kidnappers don’t even care who they take. They’re looking for anyone with any kind of money that will pay for the return of a missing loved one (or for themselves in this case). When people get desperate, there’s no measures they won’t take, and that puts everyone in danger. Venezuelan authorities might have their hands full with these kidnappings, but they are doing everything they can to combat them. In 2006, the Venezuelan National Counter Kidnapping Commission was created to try to stop the growing kidnapping problem. Local police are also trained for kidnappings, and sometimes have specific kidnapping units to deal with this problem. Despite all of this, kidnappings increase every year in Venezuela. It seems like the only way to be safe from the threat of kidnapping is to not go there. This is pretty much an impossible task. Some players, like the Marlins’ Anibal Sanchez, have stated that they will not travel back to Venezuela this off-season. That clearly isn’t enough, because family members can get kidnapped too. A player like Ramos would have to somehow evacuate his entire family from Venezuela so that no one would be left behind to get kidnapped. Immigration law pretty much makes this impossible. The United States government isn’t going to allow every professional athlete from Venezuela to permanently move all of their loved ones stateside. Sadly, the only thing to really do is to fortify your house and hire some body guards. Even that doesn’t fully guarantee safety. Venezuelan athletes could also just never leave their homes, but there’s always breaking and entering, right? These athletes dream of making it out of the impoverished ghettos they grow up in. When they attain this goal, they basically become prisoners of their own success and riches, living in constant fear for themselves and their loved ones. I bet that’s not how Wilson Ramos and the others pictured their lives when they were growing up and dreaming of being big league baseball players.